The Sidewalk Angels Foundation is a not-for-profit organization dedicated to providing critically needed funds and support to grassroots groups across the country that work diligently in five key areas: animal care and welfare, environmental causes, issues affecting children, music education, and the eradication of poverty and homelessness. 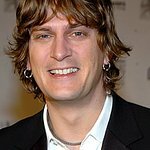 Established by singer-songwriter Rob Thomas and his wife Marisol in 2003, the Sidewalk Angels Foundation functions like an umbrella organization that provides funds and resources to smaller local and regional entities that are doing vital work, but may lack the marketing and organizational clout and financial budgets to continue or expand their services. Born out of a lyric in Thomas’ evocative holiday song “New York City Christmas,” the Sidewalk Angels Foundation has since raised nearly half a million dollars and helped organizations as diverse as Pets Alive, Blythedale Children’s Hospital, The Animal House in Jamaica and private individuals in need. Firm in their belief that organizations deeply entrenched in their local communities are the ones best equipped to resolve those communities’ ails, the Thomases are dedicated to helping these grassroots organizations thrive. Sidewalk Angels Foundations selects recipients based on past program success, demonstrable use for future funds and resources, and a shared charitable philosophy. Another grassroots appeal: smaller organizations typically have lower overhead costs and thus funds have more of an impact and actually reach those in need. Google trends for "Sidewalk Angels Foundation"
We don't have any videos related to Sidewalk Angels Foundation.